WASHINGTON—Protectionist noise from Germany is growing louder, as Berlin plans to crack down on Chinese investments, by significantly lowering the threshold for intervening in takeovers. Chancellor Angela Merkel’s government, like the Trump administration, is taking steps to expand its ability to block foreign deals deemed as threats to national security. Berlin can currently veto the sale of at least 25 percent of a German company’s equity to an investor outside of the European Union. The government now wants to reduce that threshold to 15 percent. “We want to be able to take a much closer look at companies in the defense sector and in critical infrastructures, and certain other civilian technologies that are relevant to security, such as IT security,” Altmaier said. He said Berlin doesn’t want to block foreign investments in the country, but rather wants to better understand the foreign buyers and their motives. The proposal to amend Germany’s Foreign Trade and Payments Regulation has been sent to several ministries. A law granting the government more power could come into force this year, according to Die Welt. Germany’s recent move is primarily targeting Chinese investors, as officials are concerned about China’s interest in European companies as a means to acquire key technologies and know-how. “One core component of their strategy has been to go out to international markets and attempt to acquire enterprises or technologies, often by having state-owned or state-financed Chinese enterprises attempt to purchase these entities,” said Stephen Ezell, vice president at Information Technology and Innovation Foundation, a U.S. think tank. China has been snapping up companies across Europe, investing nearly 30 billion euros last year, according to a report by Rhodium Group and the Mercator Institute for China Studies. The Chinese regime plays a key role in such acquisitions. The relative share of state-owned entities in total Chinese investment in Europe jumped from 35 percent in 2016 to 68 percent in 2017, the report states. Germany, France, and the UK are the most attractive countries for Chinese investors, accounting for 75 percent of China’s total EU investment. However, China’s foreign direct investment in German companies dropped significantly, from 11 billion euros in 2016 to 1.8 billion euros in 2017, partly due to regulatory delays in Germany. In the last two years, concerns have risen about foreign investors, which has led the German government to strengthen its reviewing and vetoing powers. However, the significant drop in Chinese investments may also be related to the timing of large takeovers, said the report, adding that Germany remains a favorite investment destination for Chinese investors. Protectionist sentiment has started to rise in Germany after Chinese appliance maker Midea Group Co. acquired Kuka AG, a German robot maker in 2016. The controversial deal spread worries that China could be buying up high-end technologies that are strategically important to the German economy. This led to the blocking of a similar deal that involved the acquisition of German chipmaker Aixtron by a Chinese fund. Merkel’s government recently voted to block a Chinese company’s potential acquisition of Leifeld Metal Spinning, a boutique German machine tool manufacturer that is crucial for the aerospace and nuclear industries. 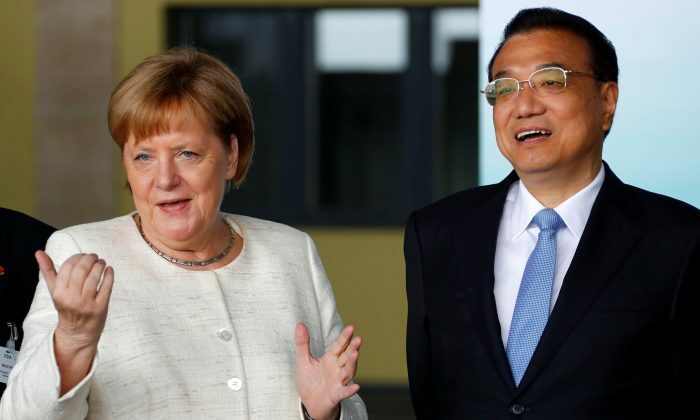 Germany’s toughening stance is part of a global backlash against Chinese investments. The UK also unveiled a 120-page policy in July to enhance the government’s ability to prevent foreign acquisitions of British assets that raise national security concerns. According to the Financial Times, the UK’s recent move mainly targets Chinese and Russian investors. 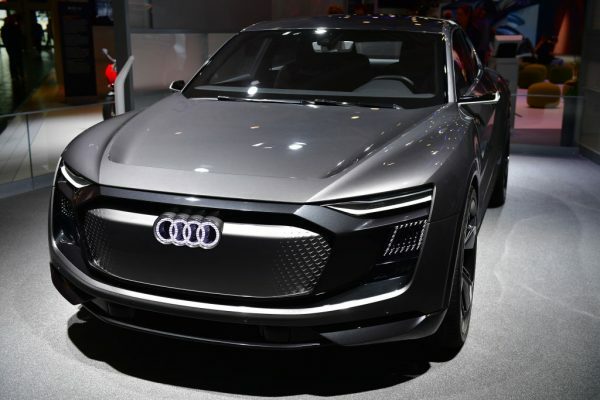 The Chinese regime unveiled its blueprint “Made in China 2025” three years ago, announcing the goal of achieving dominance in 10 high-tech industries, including advanced information technology, robotics, aviation, and new energy vehicles. 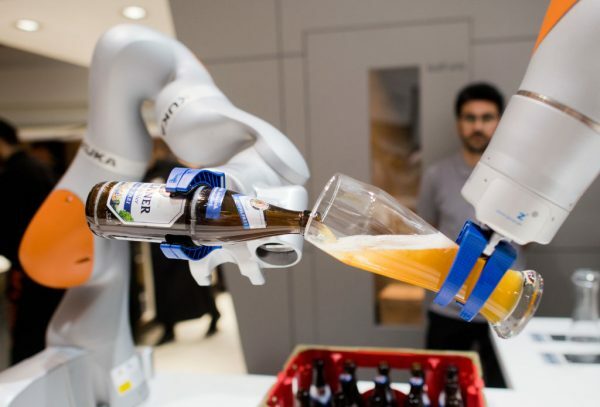 According to a report by the Council on Foreign Relations (CFR), Chinese policymakers have “diligently studied” German’s “Industry 4.0” initiative aimed at transforming the country into a hi-tech powerhouse. “However, China’s intention through Made in China 2025 is not so much to join the ranks of hi-tech economies like Germany, the United States, South Korea, and Japan, as much as replace them altogether,” stated the CFR report. Made in China 2025 outlines targets for achieving 70 percent “self-sufficiency” in core components and basic materials in high-tech industries by 2025. “That could devastate countries like South Korea and Germany, where hi-tech sectors constitute a large share of industrial output and exports,” the report noted. To address threats posed by Chinese investment in the United States, lawmakers recently passed a bipartisan bill. The new legislation aims to reform the oversight and authority of the Committee on Foreign Investment in the United States (CFIUS), the interagency committee responsible for assessing threats to national security posed by certain types of foreign investments. The new bill is an important step, as it will allow the U.S. government to scrutinize a greater range of transactions. President Donald Trump urged Congress to enact the bill quickly. The new legislation, the Foreign Investment Risk Review Modernization Act (FIRRMA), strengthens CFIUS by bringing new transactions under its review authority. It enables the committee to audit deals involving the transfer of not just controlling shares but also minority interests in companies dealing in critical infrastructure or technology. According to Ezell, there is a coordinated action between countries to review Chinese investments more closely. “It’s appropriate that countries including the United States, Germany, and others are employing a much more rigorous screening process to truly understand who the investors are behind these proposed acquisition deals,” he said.